The 80-foot Noble Fir is adorned with thousands of LED lights and ornaments made by Oregon residents. After a journey of more than 3,000 miles from Oregon, the U.S. Capitol Christmas Tree was lit in a special ceremony Dec. 6, on the Capitol's West Lawn. The 80-foot Noble Fir is adorned with thousands of LED lights and ornaments made by Oregon residents. Brigette Harrington, a fourth grader from Hillsboro, Ore., lit the tree with U.S. Speaker of the House Paul Ryan presiding over the ceremony. Harrington received the honor after winning an essay contest on Oregon's beauty entered by 1,200 fourth graders in Oregon. The tradition of the U.S. Capitol Christmas tree started in 1964 by then-U.S. Speaker of the House John W. McCormack, who planted a live tree on the Capitol lawn. That tree lived three years before succumbing to wind and root damage. In 1970, the Capitol Architect asked the U.S. Forest Service to provide a Christmas tree. Since then, a different national forest has been chosen each year to provide "The People's Tree." 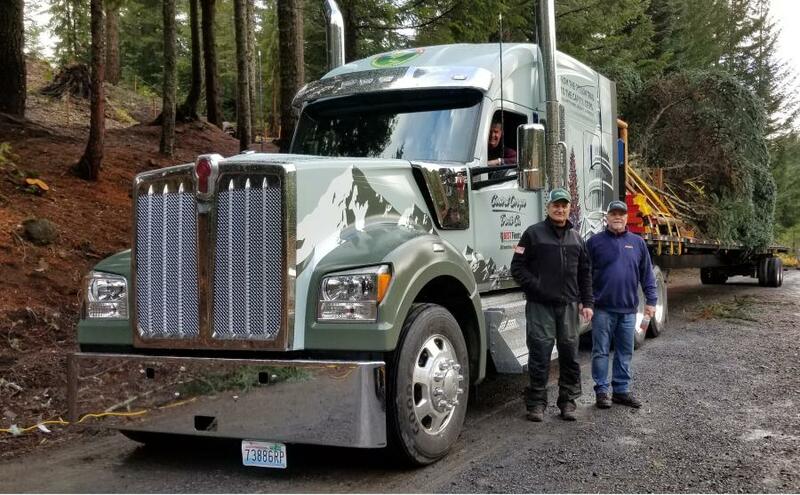 The tree was harvested in Oregon's Willamette National Forest, and transported by Central Oregon Truck Company and its new Kenworth W990 model on a reverse path of the historic Oregon Trail. The company's Kenworth trucks are purchased from The Papé Group, a Kenworth dealer headquartered in Oregon and a major tour sponsor. The U.S. Capitol Christmas Tree tour, which began Nov. 9 in Sweet Home, Ore., and ended Nov. 25 at Joint Base Andrews in Maryland, made more than 25 stops for community events while traveling across the nation. Thousands of people saw the tree and the W990 during the stops and going down the highway. Featuring a 76-inch mid-roof sleeper, the Kenworth W990 was specified with the PACCAR Powertrain which incorporates a PACCAR MX-13 engine rated at 455-hp and 1,650 lb-ft of torque, 12-speed automated transmission, and 40K tandem rear axles. The truck also featured the W990 Limited Edition interior, premium GT703 seats and audio system, Kenworth Nav+HD, predictive cruise control, 1800W inverter, 180-degree swivel passenger seat, and Kenworth TruckTech+ Remote Diagnostics. 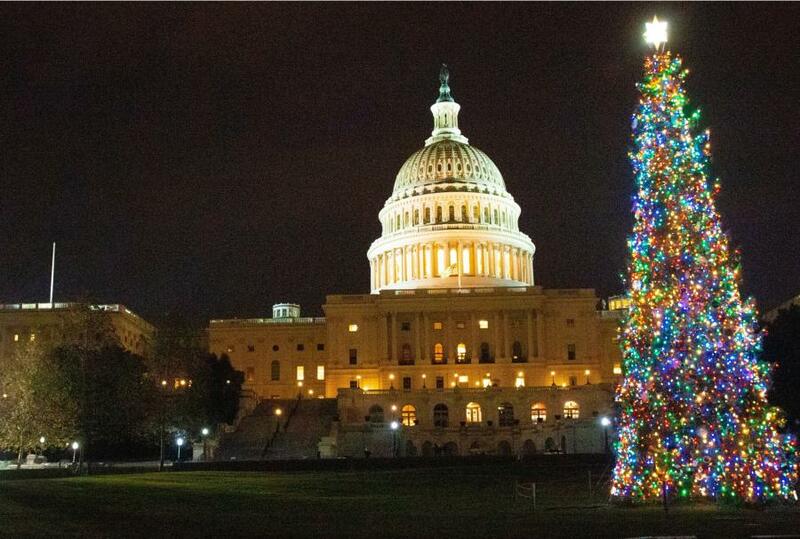 "This is Kenworth's fifth consecutive year of participating in the U.S. Capitol Christmas Tree Tour. This very special tradition and celebration brings communities together. It was especially significant to provide a new Kenworth W990 to transport the U.S. Capitol Christmas Tree to its destination," said Kurt Swihart, Kenworth marketing director. For more information about Kenworth, visit www.kenworth.com.